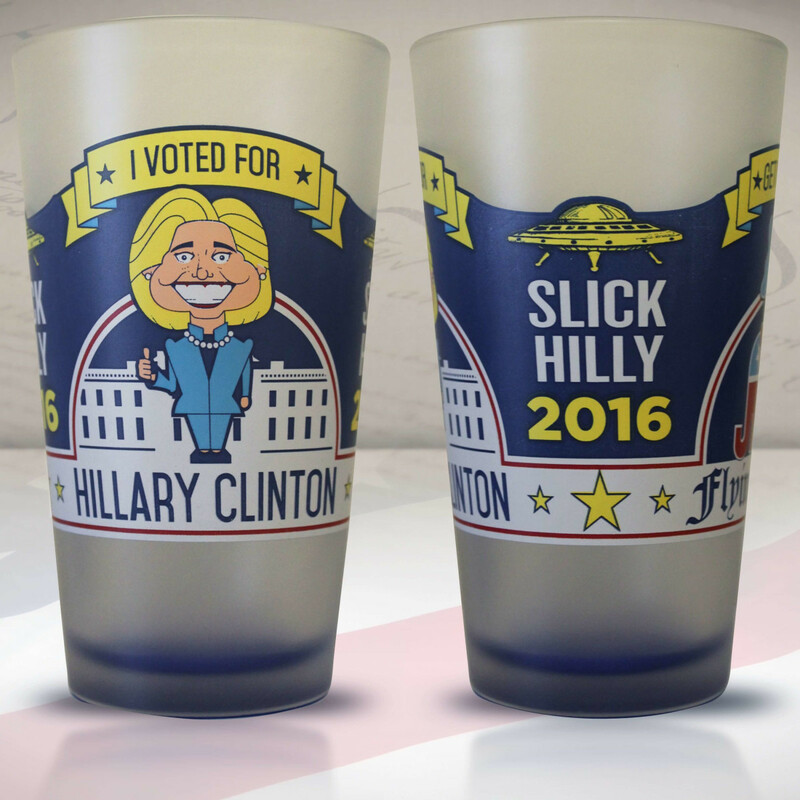 The race is on between "Slick Hillary" and Donald Trump ("Big Plans, Small Hands") at Flying Saucer Draught Emporium locations! 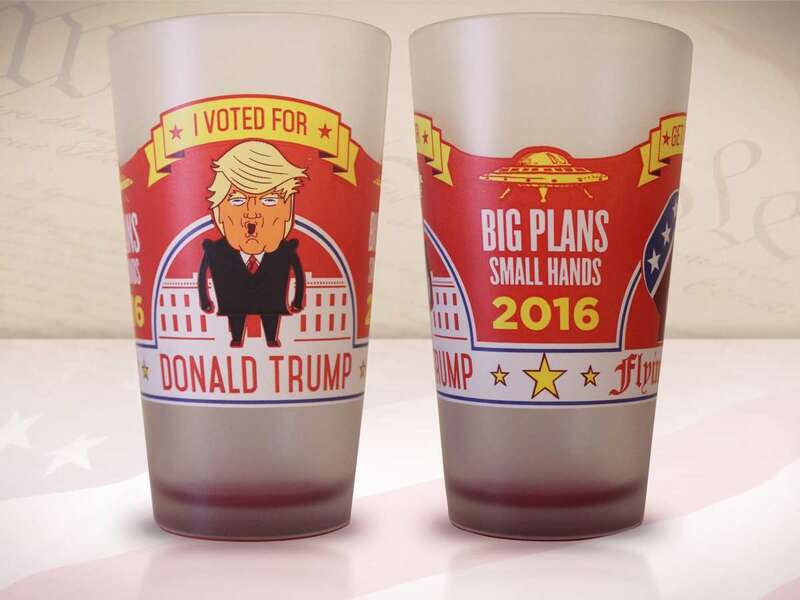 The beerknurd paradise debuted its popular election-day glassware in advance of the final countdown, and patrons can get their hands (small or large) on the pint glass supporting the candidate of their choice starting at 7 pm tonight. 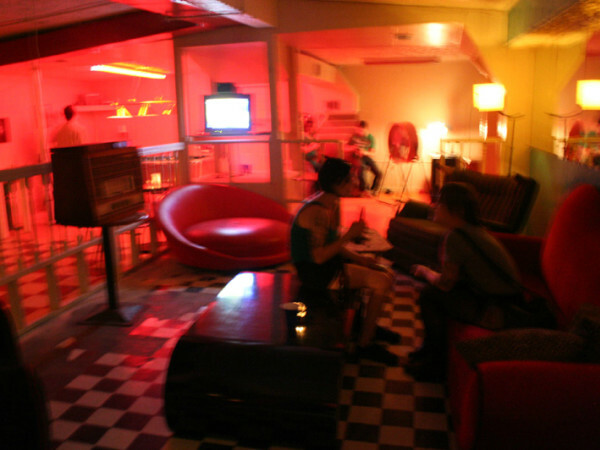 Flying Saucers nationwide will keep a running tally on a banner over the bar totaling where the candidates stand, sales-wise, with the results to be announced on the night of the election, Tuesday, November 8. 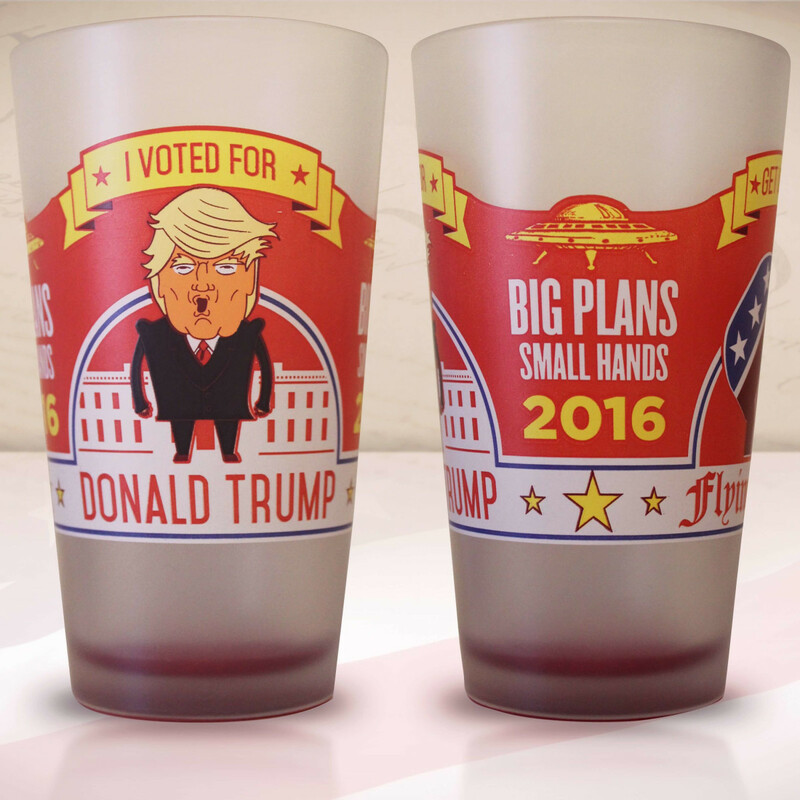 The company reports that the glass sales have correctly predicted the election's outcome since they debuted in 2004. This is bad news for Libertarian candidate Gary Johnson, whose face did not garner a glass. The slight has some beerknurds upset. "Shame... I was looking forward to my complete set of 8 Gary Johnson glasses... Please post an update if you intend to do the event correctly," posted one Dallas-area Johnson supporter. 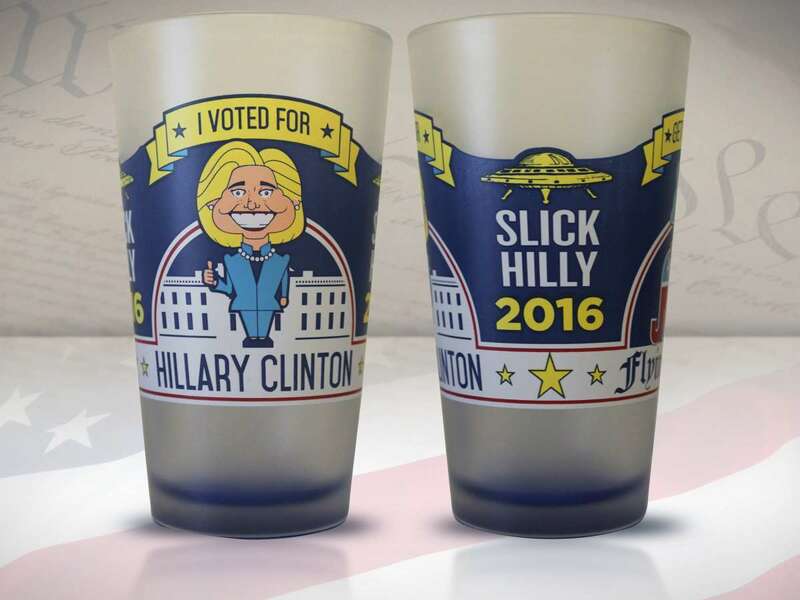 Perhaps Flying Saucer should allow patrons to write their candidate of choice in on blank glasses. But until the Saucer embraces a mutli-party system of beer vessels (crossing our fingers for 2020! 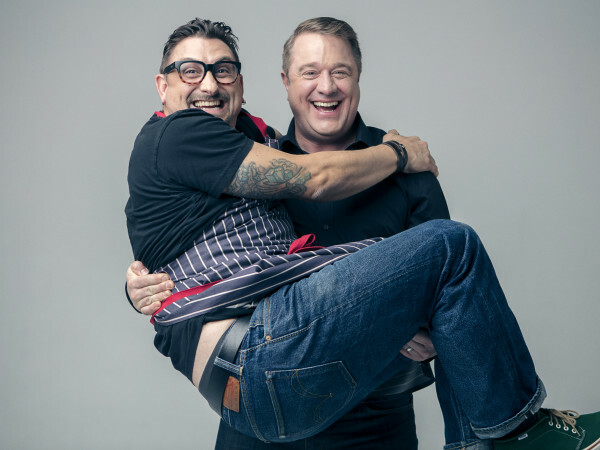 ), you can choose between the two people who are making this election season the single most entertaining political moment since Sarah Palin said she could see Russia from her house. The glasses can be purchased by the 24-count case or separately, both in-store and online, and will almost certainly last longer than the length of our next president's incumbency.